Catherine Russell is Professor of Film Studies at Concordia University, Montreal. She is the author of four books and numerous articles on narrative theory, experimental ethnography, Japanese cinema, experimental film, Canadian cinema, and Walter Benjamin. Please see www.catherinerussell.ca. 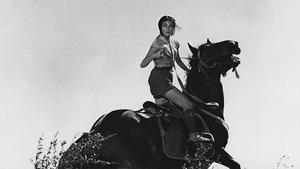 In addition to technical brilliance and a humanist message, Akira Kurosawa’s adventure features one of the director’s strongest female characters.